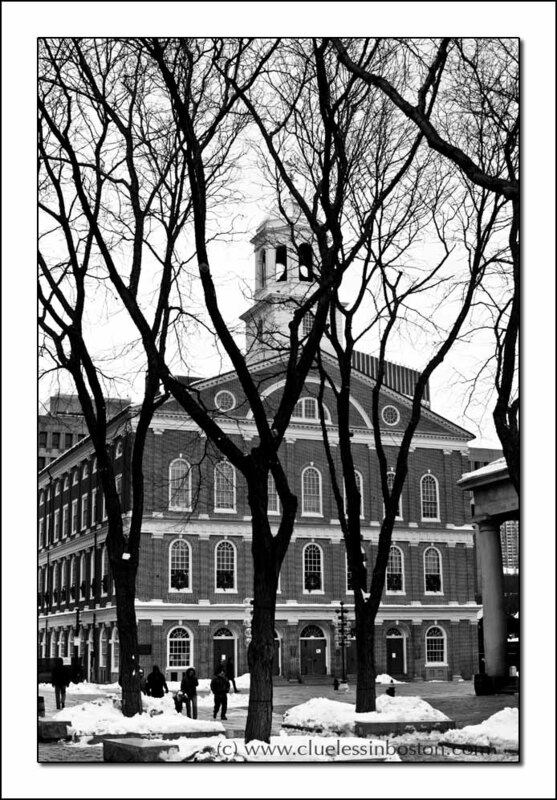 West side view of Fanueil Hall. Always so much snow! I prefer the B&W version, it matches better with the snow, and I like the contrast made by the "black" trees. This shot is difficult to get at other times of the year, because the trees block the view. Cold, barren winter does have some advantages over other seasons in this regard. This is a striking image. It is perfect for the B&W treatment given here. Well done.